Families, seniors and young people will all benefit from the investments in community services and facilities funded in the City of Fremantle’s 2018-19 annual budget. 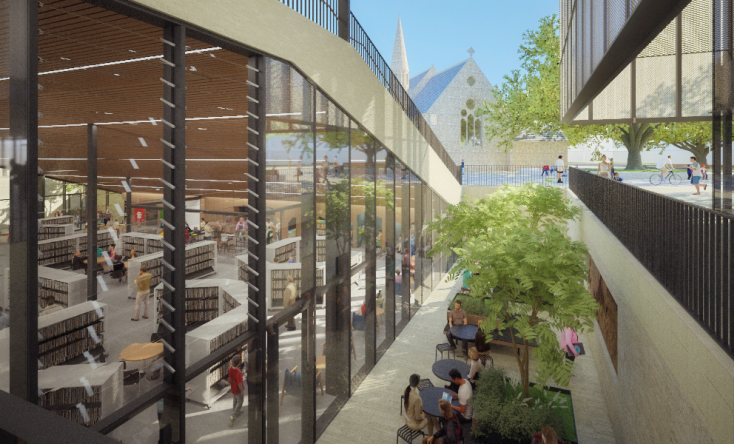 The centrepiece of this year’s budget is the allocation of $46.3 million towards the construction of the City’s new administration and library building as part of the broader Kings Square Renewal project. City of Fremantle Director of Community Development Fiona Hodges said the new library will be an incredible space for people of all ages and abilities. “The concept of what a library is and the kind of services they offer has evolved over time, and our new library will be the next step in that evolution,” Ms Hodges said. “As well as having our usual range of books, internet access, printing and photocopying services and early childhood programs, it is also planned to include new features like our state-of-the-art history centre featuring digital display cabinets and table-top touch screens, a library lounge and outdoor courtyards, even gaming consoles and a slide. “This will be a really active and vibrant community space that - in addition to the usual function of promoting reading - is all about enabling community connections and lifelong learning. Another major community project funded in the budget is a $2.8 million allocation towards the construction of the new Fremantle Park Sports and Community Centre. The project will see the Fremantle Workers Social and Leisure Club, Fremantle Lawn Tennis Club and Fremantle Bowling Club all housed in a single, purpose-built facility, which will also feature a café, bar and functions rooms that will be open to the public. Other investments in sporting facilities include $55,000 to upgrade the pool filtration system at the Fremantle Leisure Centre, $70,000 for new cricket nets at Stevens Reserve, $34,000 to refresh the clubrooms at Stevens Reserve and $20,000 for a new storage shed at Gil Fraser Oval. The budget also included significant investments to preserve Fremantle’s heritage, with $506,000 allocated to the internal upgrade of the Naval Stores building in the Cantonment Hill precinct. A further $250,000 will go towards the first phase of the restoration of the inside of the Town Hall following the completion of the award-winning $3.1 million restoration of the outside of the building last year.